Avis Budget Group and Continental have teamed up to offer a completely mobile experience that features keyless entry and ignition. Under the exclusive agreement, select vehicles in the Avis Car Rental fleet are equipped with Continental’s Key-as-a-Service (KaaS) technology that empowers Avis customers to use the Avis mobile app to lock/unlock the car and start the engine. This new service debuts in the Kansas City area where Avis Budget Group has it “Mobility Lab” which comprises more than 20 Avis Car Rental locations in the area and features a fleet of connected vehicles. The partnership aims to deliver the next generation of mobility solutions and lays the foundation for entirely keyless car rental. In the evolving world of shared mobility, smartphones are fast becoming the gateway to on-demand services. 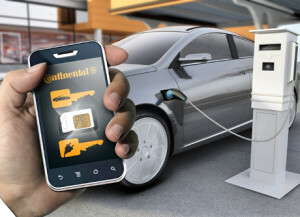 With Key-as-a-Service technology for connected cars, the companies aim to enable a seamless mobile solution for consumers and accelerate their offerings into new markets. Continental’s aftermarket KaaS technology offers scalability across car manufacturers, vehicle models and regions and quicker time to market with no circuitry changes or modifications in the vehicle architecture. It includes services and hardware. Avis Budget Group and Continental will demonstrate the solution during the Consumer Electronics Show in Las Vegas on January 9-12, 2018.